The A3 was designed "with the U.S. and China in mind," says Audi sales boss Peter Schwarzenbauer. 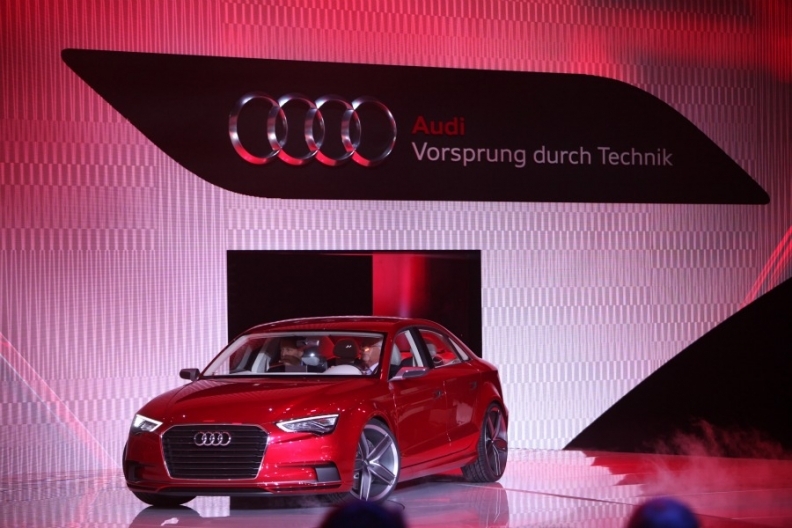 GENEVA -- A production version of the Audi A3 sedan concept may be sold in the United States and China. "If you look at this specific segment around the world, you come to the conclusion that this car is designed -- but it is not yet decided -- with the U.S. and China in mind," Audi sales boss Peter Schwarzenbauer said at the Geneva auto show last week. "These are two markets where the segment is quite big," he added. The A3 concept debuted in Geneva and is set to go into production as a new addition to the A3 family, which currently consists of a three-door hatchback, the five-door Sportback and a convertible. It will be built for European markets in Audi's factory in Gyor, Hungary, likely starting in 2014. The A3 has not been a big seller in the United States because it is available only as a five-door hatchback. Last year, Audi sold 6,558 A3s in the United States. U.S. prospects for Audi's new Q3 compact crossover are uncertain. Schwarzenbauer said dealers urged Audi to add the Q3 to the U.S. lineup after seeing it last month during the NADA convention in San Francisco. Schwarzenbauer said Audi has not decided whether the Q3 will be sold in the United States. Even if the crossover is approved, it would not arrive for another 12 to 15 months, he said. The Q3 will arrive in Europe this year.